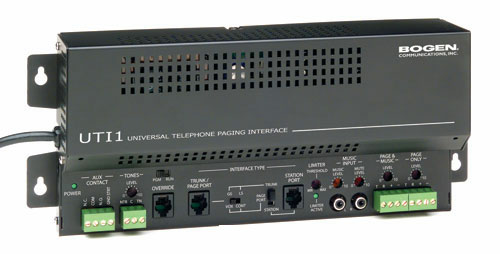 The Bogen UTI1 Universal Telephone Interface provides single-zone paging for one-way applications such as self-amplified speaker systems. 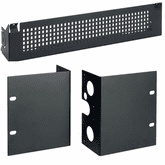 It is compatible with all standard analog port types and includes two audio outputs with level controls, each of which can provide audio for 150 Bogen self-amplified speakers. A 24V DC @ 1A internal power supply is available to power external equipment.